The Experience: Each day will feature a different winter adventure in Gabriel Dumont Park and Holiday Park's naturalized spaces. The morning and afternoon learning experiences will focus on practical outdoor skills such as staying warm and dry, first aid, winter travel and building shelter. Although we will begin and end each day bundled up outdoors, participants can expect to spend a couple of cozy low-key, down-time hours indoors around noon eating, reading, crafting and drying out our mitts and neckwarmers! We will also practice a small act of giving back to nature and/or the neighbourhood community each day. Times: We will meet each morning between 8:30 a.m. and 9:00 a.m., enjoy cozy indoor time together between 11:00 a.m. and 1:00 p.m. and wrap up between 4:00p.m - 4:30 p.m. each day. Families are welcome to contact if they need to set up alternate pick-up or drop off arrangements. 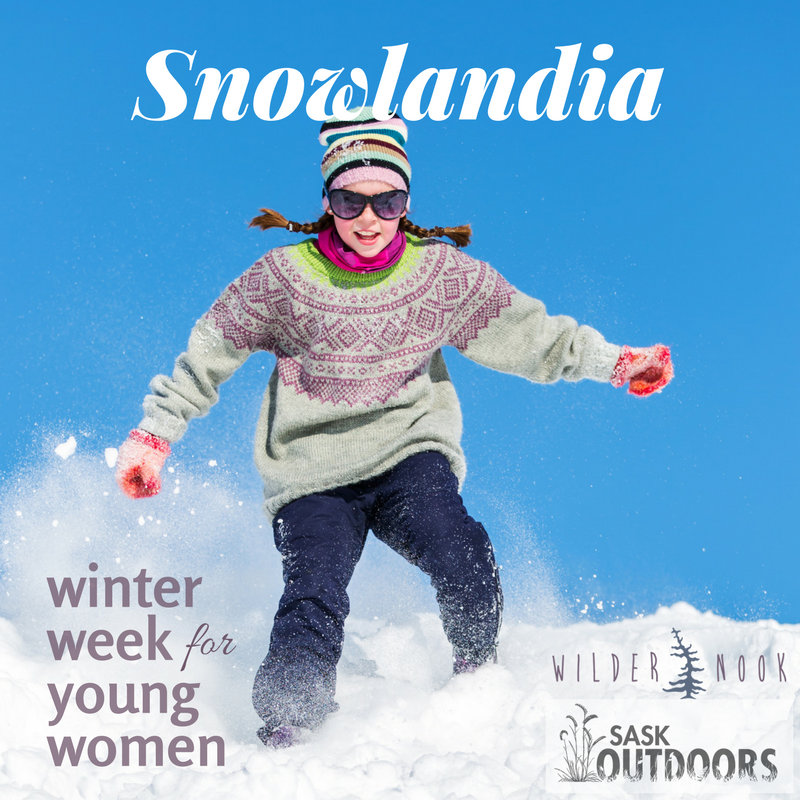 Cost: The cost for SaskOutdoors Members is $220 and the cost for Non-Members is $240 (learn more about becoming a SaskOutdoors Member). The cost includes learning materials and any gear rental. Participants must provide their own lunch. If cost is a barrier to participating in Snowlandia, please contact to discuss other methods of supporting the program. Please view our cancellation policy before registering.